The purpose of this book is to provide pertinent information on the subject of Tuplets, their construction and application. 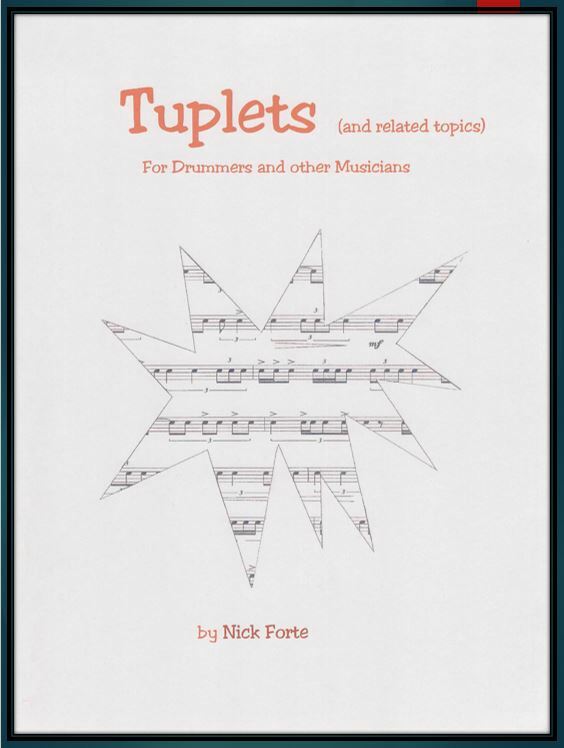 Specifically, the included text and musical examples should prove helpful in the understanding and implementation ofDuplets, Triplets, Quadruplets, Quintuplets, Sextuplets and Septuplets, as well as related topics such as exploding and imploding rhythms, ratios and polyrhythms. For some, this study could be put to immediate use. For others, it may be a handy source of reference material. Whatever the level of expertise or musical persuasion, the goal is to enlighten and encourage all musicians to become more familiar with these so-called “irrational” rhythmic structures.